Random House Trade Paperbacks, 9780385342612, 336pp. 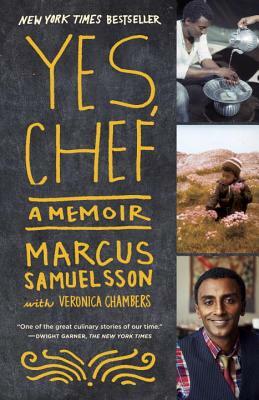 A James Beard Award–winning chef and author of several cookbooks, Marcus Samuelsson has appeared on Today, Charlie Rose, Iron Chef, and Top Chef Masters, where he took first place. In 1995, for his work at Aquavit, Samuelsson became the youngest chef ever to receive a three-star review from The New York Times. His newest restaurant, Red Rooster, recently opened in Harlem, where he lives with his wife.